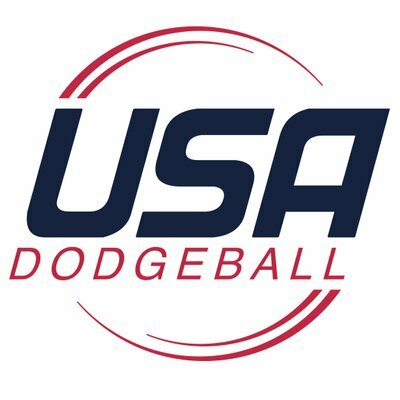 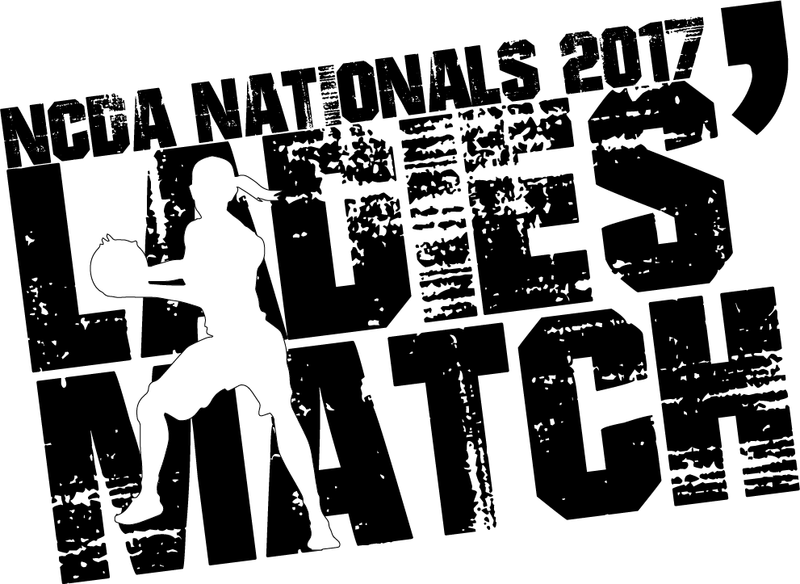 Nationals 2017 hosted by UK Dodgeball in Lexington, KY on April 8-9. 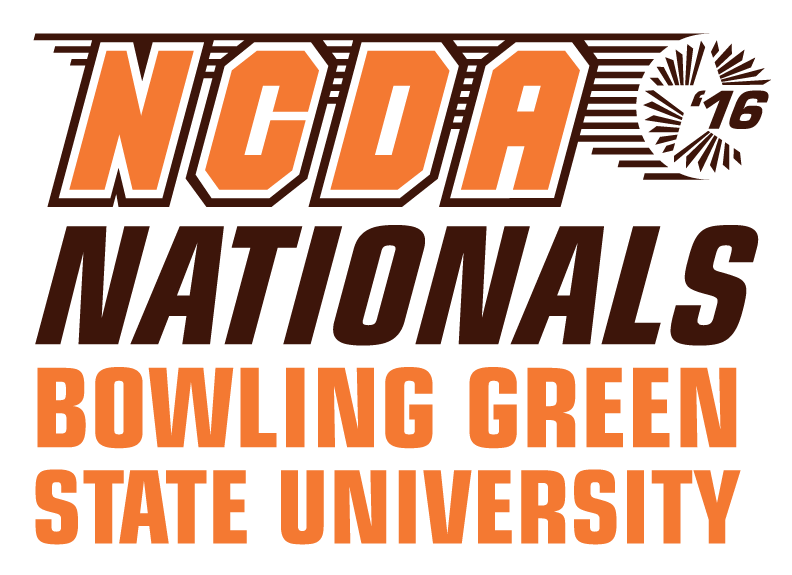 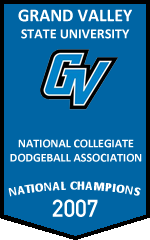 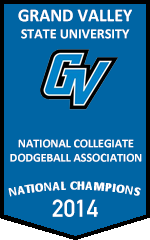 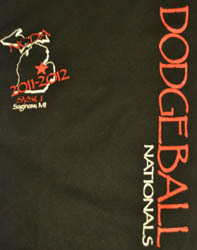 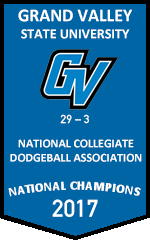 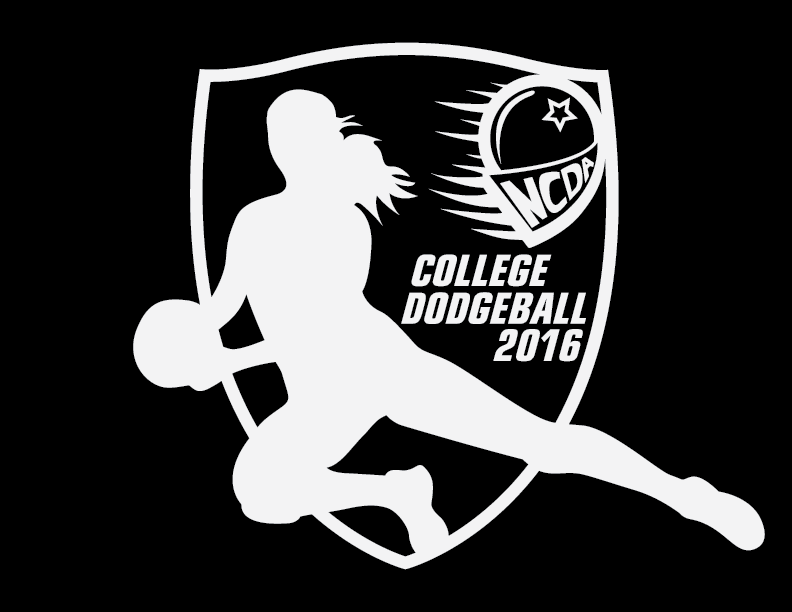 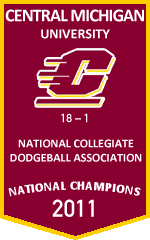 Nationals 2016 hosted by BGSU Dodgeball in Bowling Green, OH on April 9-10. 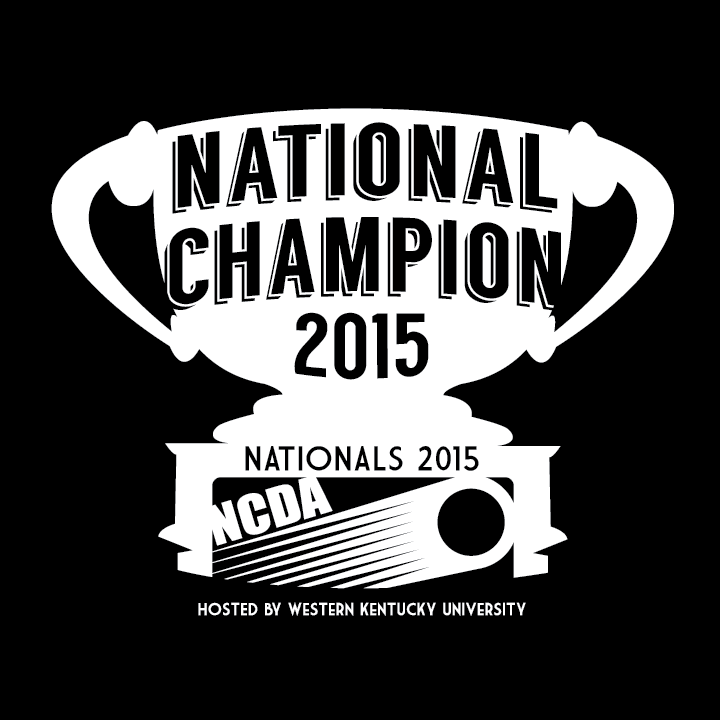 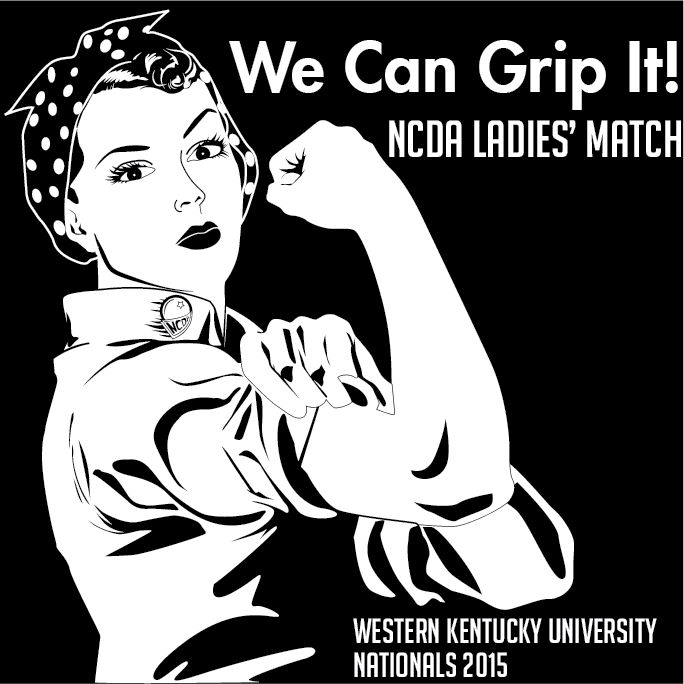 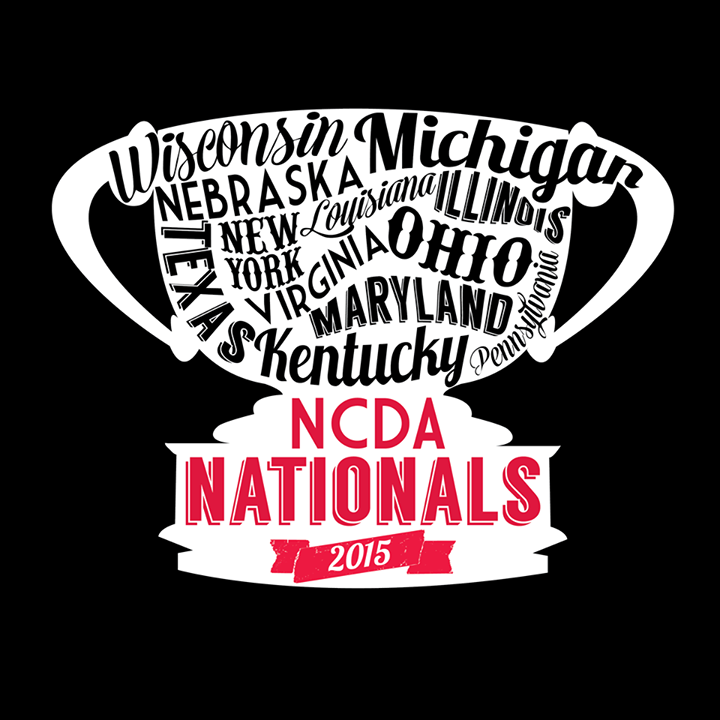 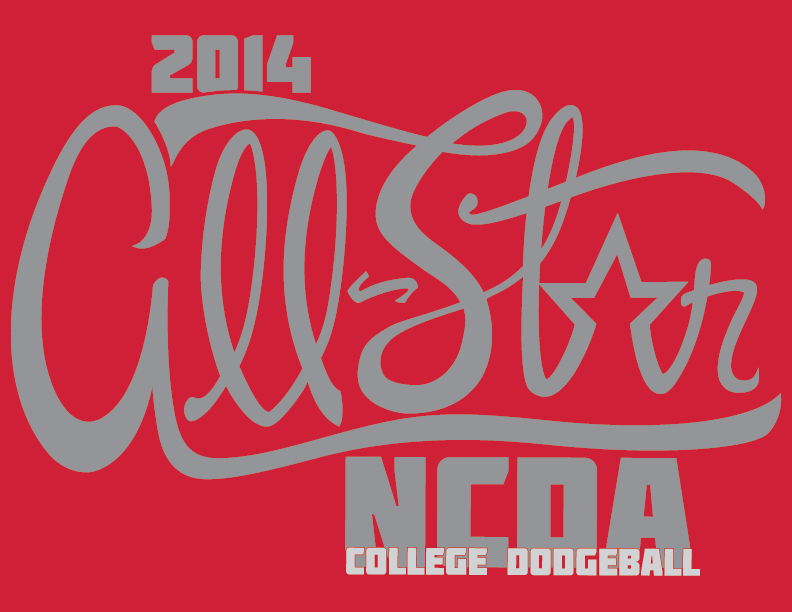 Nationals 2015 hosted by WKU Dodgeball in Bowling Green, KY on April 10-12. 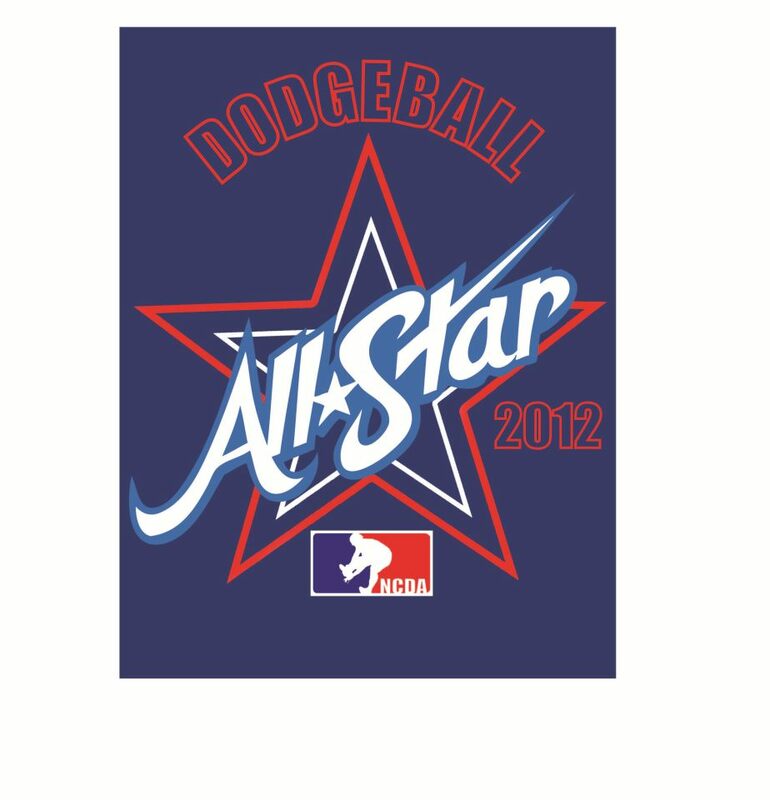 All Star Game, Ladies’ Match, and Champion designs by Zigmas Maloni [President] with contributions from Ali Raymer. Nationals 2014 hosted by the OSU Dodgeball Syndicate in Columbus, OH on April 11-13. 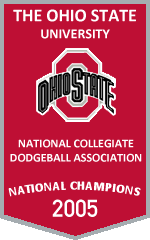 2013 Nationals hosted by Kentucky Dodgeball in Lexington, KY on April 12-14. 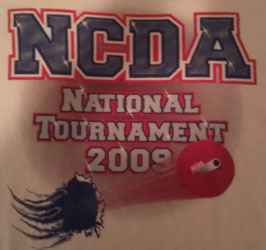 First Nationals Shirt to have a print on the back, which listed a number of teams in the League at the time. 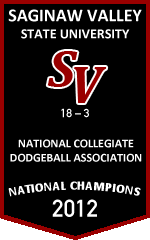 2012 Nationals hosted by Saginaw Valley State in Saginaw, MI on April 14-15. 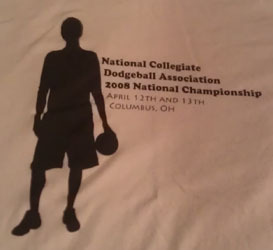 2008 National Championship hosted by Ohio State in Columbus, OH on April 12-13. 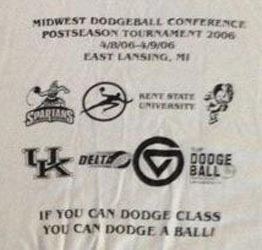 2006 Midwest Dodgeball Conference Postseason Tournament, hosted by Michigan State in East Lansing, MI on April 8-9. 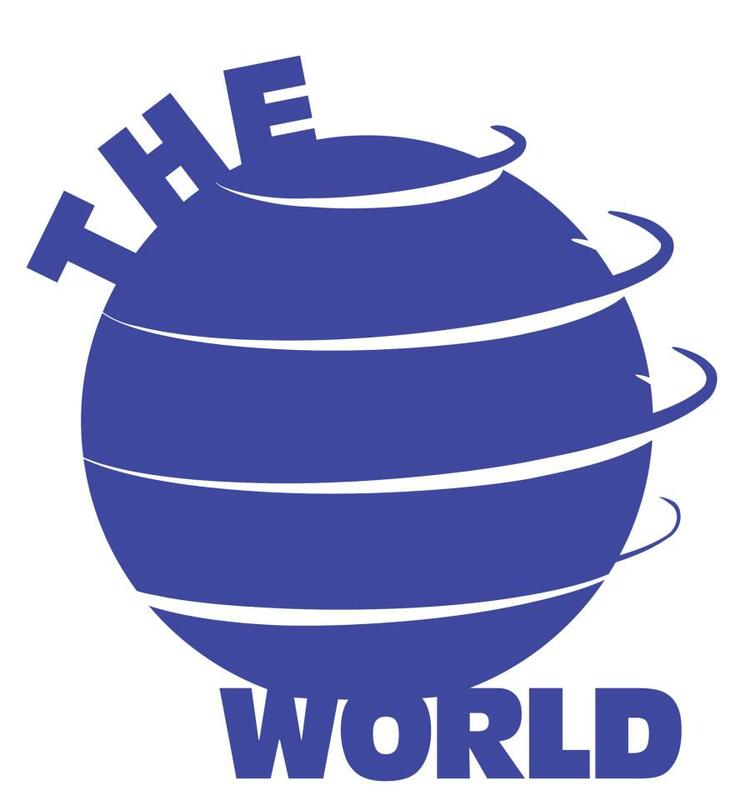 Also known as the “Bomis was too busy and lazy to do a proper design” event shirt. 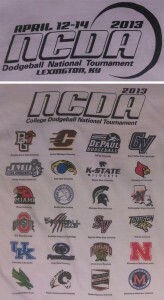 Eight teams attended. 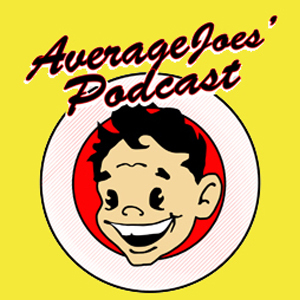 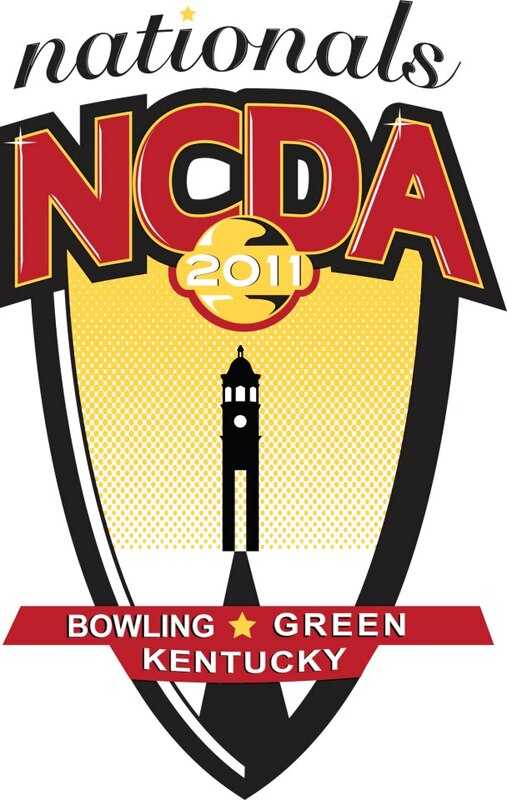 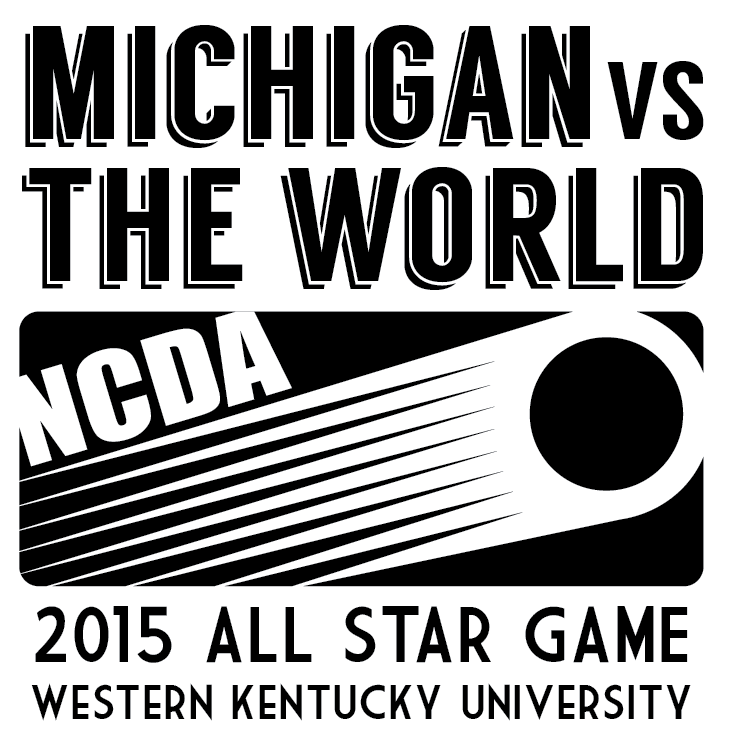 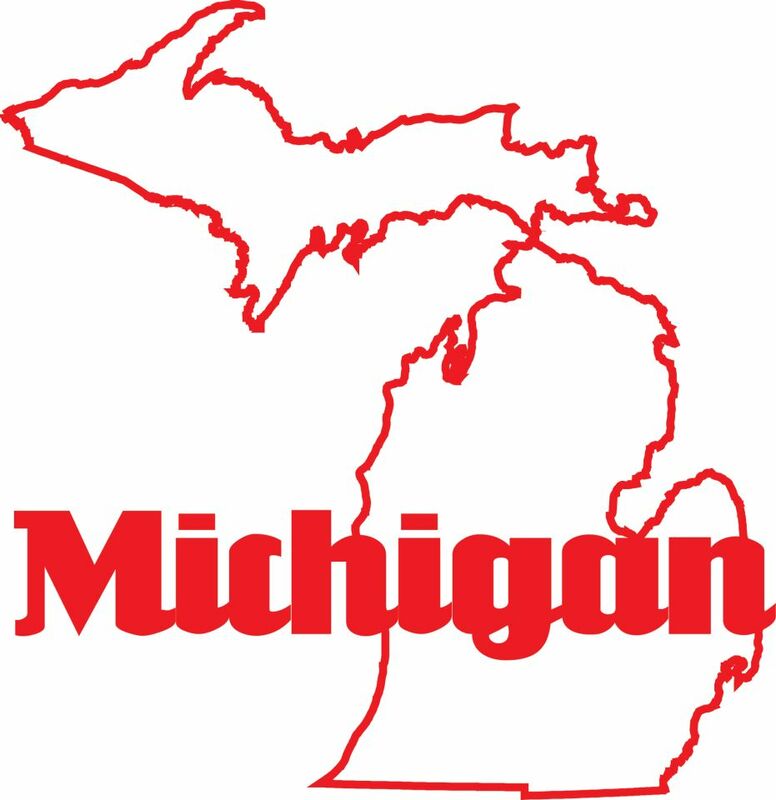 Logos represent, from left to right and top to bottom: MSU, DePaul, Kent, OSU, UK, Delta, GVSU, and Oakland of Michigan. 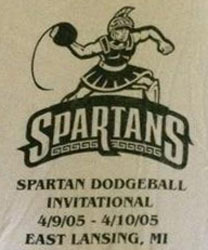 2005 Spartan Dodgeball Invitational: the first post season tournament of the new Midwest Dodgeball Conference. 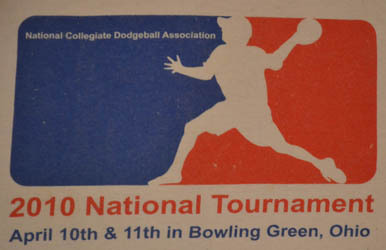 Hosted by Michigan State in East Lansing, on April 9-10.